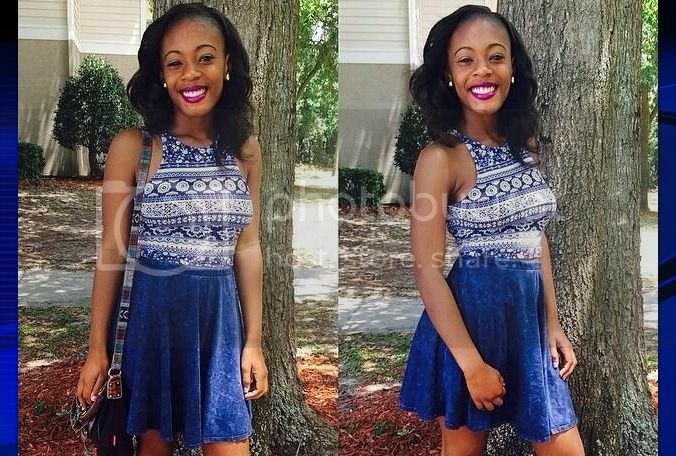 A body found Friday in Osceola County has been positively identified as missing 16-year-old Alexandria Chery, who disappeared from her Orlando, Florida home one week ago. The Orange-Osceola County medical examiner on Wednesday confirmed the identity of the body found Friday off Osceola-Polk Line Road, in a wooded area near the entrance to the Reunion community, just east of I-4 at ChampionsGate. The District Nine Medical Examiner has completed an examination of the remains of the young female found in Osceola County on 8/1/14. The remains have been positively identified through dental comparison to be that of Alexandria Chery, and her mother has been notified. Alexandria will be released back to her family after it is confirmed that an adequate DNA profile has been obtained; this regrettable delay is due to the advanced decomposition of the decedent. The DNA testing has been expedited by FDLE and is expected to be completed next week. The case is still being actively investigated by the Orange County Sheriff's Office and thus no other information will be released at this time. The medical examiner's office did not specify the cause of death in its statement. Alexandria Chery was last seen alive July 28 at her home in the Hawthorne Grove Apartments, off Good Homes Road near Old Winter Garden Road. A landscaper found the teen's body about 7 feet into a wooded area near the Reunion entrance Friday morning. Deputies have named Sanel Saint Simon, Chery's mother's boyfriend, as the prime suspect in her disappearance. He has not been charged with the teenager's death at this time, but remains locked up in the Orange County Jail on $200,000 bond for charges of evidence tampering and lying to law enforcement. Saint Simon, 43, was arrested Wednesday. Deputies say he has not cooperated with them and lied repeatedly while they were still looking for Chery. According to deputies, Chery's bedding and most of her belongings were taken from her room. They also found blood splatter in the room that appeared to be covered up by bleach. Investigators said Saint Simon told them he was at his job at Boston Market, but they later found out he left work early that morning in a black Pontiac. Deputies said a witness came forward saying he saw a similar vehicle stopped with its hazard lights along Osceola-Polk Line Road, where Chery's body was later found. A family member of Saint Simon's also told deputies he had asked him to lie about Saint Simon having possession of the car the day Chery was last seen alive. When investigators looked in the car, they found what appeared to be blood inside. Samples from the car were collected for testing.